New Mexico’s nearly decade-old medical marijuana market is sprinting ahead as if it had just opened, thanks to a 70% jump in new patients over the past year. Sales via dispensaries hit nearly $10 million in the first quarter – almost double the total from the same period in 2015. The growth has enabled marijuana businesses to expand, though companies are still having trouble keeping up with demand. According to the latest report released by the state, medical cannabis sales increased to $9.96 million in the first quarter of this year from $5.7 million in the first quarter of 2015. The state is now on track for at least $40 million in sales this year, moving it closer to the middle tier of medical cannabis states in terms of market size. That would also put it within the $40 million-$50 million sales estimate in the 2016 Marijuana Business Factbook. Last year, the state’s dispensaries racked up $25 million to $30 million in sales, according to the Factbook. The spike in patient numbers has largely fueled the industry’s sales gains. The number of registered medical marijuana patients in the state has surged to about 25,000 through the end of May from 14,600 in May 2015. And the patient count is expected to keep growing this year. Ultra Health’s five currently open dispensaries see about 2,000 patients per week, but it hasn’t been easy keeping up increased demand. “We’re stretching product to the max,” Rodriguez said. While he is still able to keep his stores open seven days per week, Rodriguez said he knows of some dispensaries that are open only two or three times per week because they don’t have enough supply. “There are patients who are being turned away at shops,” Rodriguez said. The industry’s jump in sales, in fact, hasn’t been distributed evenly among marijuana businesses, according to the state report. Medical marijuana businesses in New Mexico, where licenses holders operate vertically integrated grow sites and dispensaries, had average sales of $453,000 in the first quarter. The top business had revenues of almost $1.1 million during the quarter, while another business had almost $904,000 in revenue. By contrast, 13 other businesses earned less than $100,000 during the quarter – including the two state’s two laggards, which earned approximately $7,000 and $27,000 in the quarter, respectively. For now, there are 23 licensed producers that run 37 dispensaries. Another 12 nonprofits that were awarded licenses by the New Mexico Department of Health last year are setting up new cultivation sites and dispensaries. That will bring the total number of licensed producers to 35, which is the state cap on cultivators. The state has no limit on how many dispensaries these licensed producers can operate. Rodriguez of Ultra Health opened his first dispensary in Albuquerque in 2010 and, until late last year, that’s all he needed. Then he opened stores two, three and four in November, December and January respectively, followed by store five in March. Rodriguez will open his sixth store this week, and expects to have 15 open by year’s end. “We’re very pleased with how business is doing,” Rodriguez said. Diana Schoonmaker, who manages the Albuquerque location of Healthy Education Society, which owns two dispensaries and two grow sites, is seeing the same trend at her stores. “We’re doing really well,” she said. Why the increase in patients? “We’re not sure,” said Kenny Vigil, a spokesman for the New Mexico Health Department. Rodriguez wasn’t sure either, but speculated that more information about the medical cannabis program was reaching prospective patients. His business runs radio spots on several prominent New Mexico radio stations, telling listeners to call if they’re interested in getting a medical marijuana card. “And believe me, people call,” he said. As for supplies, Schoonmaker and Rodriguez have had different experiences. Schoonmaker – whose stores sees 19 to 25 patients on any of the five days of the week they are open – said the dispensaries haven’t had any product shortages. Rodriguez, on the other hand, said the state’s cap of 450 plants per grow site has made supplies a tricky issue. That 450-plant cap is actually an increase that state regulators implemented last year from a previous cap of 150 plants. But even then many cannabis business owners worried the increase would still not be enough to meet growing demand. He and other cultivators have hired lobbyists to persuade regulators and lawmakers to eliminate the cap. The May 26 state report shows that the average grow site has 286 plants. Only three are at the 450-plant limit, while several others had about 400 plants. The average price for the quarter was $11.06 per gram, according to the report, with a low of $6.88 per gram and a high of $13.85 per gram. The number of patients will likely increase, observers predicted. 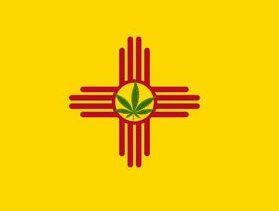 New Mexico has 9.4 medical cannabis patients per 1,000 state residents, above the average for medical marijuana legal states of 8.06 patients per 1,000 residents, according to a March report by ProCon.org, a website that tracks controversial issues. Will Rodriguez’s supply be able to keep up with demand? If Ultra Heath can’t grow enough product, Rodriguez said he’s lucky enough to be in a state where dispensaries can buy product from other licensed growers. “We’ll do what we have to do to serve patients,” he said. Ultra Health, how many lawsuits going on? Secondly they don’t have their own license. They operate under others because they can’t obtain one for themselves. Why are they receiving coverage without mentioning the other sides of their business. I realize that this is a Business group, but there are some serious troubles with this story. I am a retired business owner, and I understand expansion, and politicking and making a business grow, but I truly believe Mr. Rodriguez is coming from the Dark Side, and that patients in NM will be left in the wake of his actions. Ultra Health opened their first dispensary in New Mexico in 2010? No, maybe somewhere else, but not in NM. He never opened a first dispensary here at all. He took over an existing license in NM in 2013, and the dispensary in Santa Fe that went along with it. Lawmakers thought they had a loophole fixed by making the grow licenses non-transferable, but Ultra Health got around that, somehow. The report about dispensaries having shortages and not being able to open more than a few days a week is bogus. If there are any dispensaries that can’t stay open it is because of bad business practices, lack of cannabis knowledge, bad product, lack of funding, and an inability to increase their own plant counts because of the previous reasons. They are few and far between. There IS a shortage of dispensaries in the rural parts of the state and this has caused serious problems for many patients. Yet Mr. Rodriguez chose to expand his business by opening 4 of his 5 store fronts in the metro areas, where there really is no need for more dispensaries, there is no shortages of product, (as also stated by Schoonmaker in this post) and no shortage of customers. Good for business, good for transitioning to Adult Use when it happens, but very bad for medical cannabis patients. I wonder where store #6 will be. The darkest thing Mr. Rodriguez has done is to try and solicit other licensed growers in our state to gather together to petition the lawmakers of NM to recall the right of patients to grow their own measly 4 flowering plants, forcing them to buy at a dispensary. This is despicable, considering that NM is one of the poorest states in the nation with 1 in 5 people on food stamp assistance, and now he wants them to buy instead of grow in order to have access to their medicine. The reason this was written into our law was because of the poor. It is the ONLY way for many people. People who are living on fixed incomes of $900 a month will never be able to afford it, no matter how high the plant count goes. Right now nearly 23%% (5,714) of the 24,902 active patients grow their own medical cannabis, (stats from the NM DOH). Were he to succeed in this “no personal production” scheme, this would be a big boost for him and devastating for patients. It’s that simple. I am a Medical Cannabis Patient in NM, an activist, and an advocate of all those people in the program who have no clue what is going on behind the scenes. This man is not working in their best interest. Something smells funny, and it isn’t the weed. Update…in all fairness I must report that today, Mr. Rodriguez contacted one of our local advocates/activists TODAY to announce he does not want to interfere with NM patient personal production licenses. Thank you for posting my rant above. Apparently it resonated with Mr. Rodriquez. Thank you too, Duke. Thank you so much for this. I’m a NM med patient as well and Ultra Health is the only dispensary close enough to me, the one in Hobbs. I spend ALL the money I have to make a road trip every month to buy medicine and I never have enough to last, by the end of the month I’m suicidal. We desperately need more options! Med patients are starting to resort to the black market because of lack of availability in the southern half of the state.